After an motor vehicle accident, psychological assessment and counselling can give you the support needed towards achieving mental wellness and regaining a sense of control in your life. Following an accident, these experiences are normal. However, they may have significant impact on your mental health and your ability to achieve quality of life. How do I access counselling treatment? If you would like to access counselling support after a motor vehicle accident, please contact us. Irina MurariuDirector of MVA Program, M.A., C.Psych. Assoc. 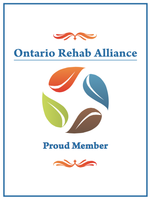 I am a Psychological Associate (Supervised Practice) with the College of Psychologists of Ontario. I completed undergraduate studies in psychology and I have an M.A. in Counselling Psychology from McGill University in Montreal. I have practiced counselling and therapy for more than 15 years in private settings, community centers and industrial/organizational milieus. I have a broad experience in the assessment and treatment of adults suffering from the consequences of personal injury. I attended workshops, seminars and congresses on topics of interest in clinical, counselling and rehabilitation psychology, such as depression, trauma and pain. I completed short-term trainings in Cognitive Behavioural Therapy, Trauma and Mindfulness, as well as Integrative Psychotherapy. I provide services to adolescents, adults and couples, using an eclectic approach that integrates ideas from various theoretical frameworks such as Cognitive Behavioural Therapy and Solution Focused Brief Therapy, as well as Person Centered, Experiential, Short-Term Dynamic, Interpersonal or Mindfulness perspectives. My areas of interest/practice are depression, anxiety, trauma, pain, stress and anger management. I work with clients face to face and through online counselling. I strongly believe in each individual’s potential to grow and promote change from within in a supportive, non-judgemental and positive therapeutic environment that leads to collaborative goals and a well-customized helping relationship.